Howdy, howdy, and welcome to this overview of Alpen’s spotting scopes. Alpen Optics has been around for years, and they’ve got the experience to produce excellent products. The question is, do they put that experience to good use? We’re going to take a look at a couple of the company’s products, and examine what you can expect from its spotting scopes. If you are on a tight budget and don’t need extreme performance from your spotting scope, Alpen’s 20x50mm variant might be a winner for you. This glass features a 50mm objective lens, provides 20X magnification, and comes with a tabletop tripod and field carrying case. Unfortunately, you won’t find Alpen’s traditional quality in this model, as it utilizes the inferior BK7 prism glass. If money’s no object, you should certainly take a look at the Rainier 20–60x80mm spotting scope. This model boasts an 80mm objective lens with extra low dispersion glass for HD-quality images. With the Rainier series, Alpen shows its skill, providing fully multicoated optics and BaK–4 prism glass. Unfortunately, eye relief is a bit on the short side for this optic, at 17mm. Also, quality control appears to be an issue for Alpen – my first unit was defective right out of the box, with some internal component rattling around inside the scope and scratching up the objective lens. Alpen quickly dispatched a replacement, which I am quite pleased with. 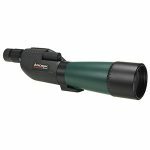 Do Alpen’s Spotting Scopes Have Common Features? There are a few common characteristics among Alpen’s products, but also a number of differences. Every model uses a porro prism design, and most are available with either straight or angled eyepieces. The optics are universally fully multicoated, with the Rainier series coated with Alpen’s UBX treatment. You’ll also enjoy an extendable sunshade on each spotting scope. Furthermore, every model is covered by Alpen’s No-Fault, No-Problem Lifetime Warranty. What Accessories Will Come In The Box? You’ll get a nylon field carrying case, and sometimes an aluminum case as well. All models are tripod-adaptable, but the accessory typically isn’t included unless you order the kit. If you do order the spotting scope kit, you’ll get a car window mount and tabletop tripod in most cases, but the 786 and 788 kits only include a micro-adjustable tripod. Quite frankly, I’d bypass the kits and just order the car window mount separately, if you want it – bundled tripods are poor quality and often unsafe for use. The Rainier series also has an available DSLR camera adapter for your digiscoping needs. How Powerful Are Alpen’s Optics? How much magnification do you want? Every model is different, but common ranges include the fixed-variable 20X model as well as 15X to 45X, 20X to 60X, and 25X to 75X. The three C’s, crispness, clarity, and contrast, are all quite good throughout the entire range of magnification. The only exception is the 20–60x80mm option, which suffers from fuzzy and hazy images at maximum magnification but is otherwise capable of producing a sharp, color-rich picture throughout 50X power. How Hard Are The Spotting Scopes To Use? Once again, every model is different. Zoom level is adjusted by rotating the eyepiece, but focus mechanisms differ from variant to variant. Some spotting scopes have a body collar focusing mechanism, while others have a focus wheel integrated into the top of the scope’s body. Still others offer the focus wheel on top of or on the side of the scope. On select models, you will even find coarse and fine focus wheels. Just look over the product when you receive it, and it should be fairly intuitive. In every Alpen spotting scope I’ve tested, the focus has been quite good. The wheel moves smoothly, but with enough resistance to prevent accidental misalignments, and the mechanisms are always easy to use either with or without gloves on. One problem I experienced with the 20–60x80mm model, however, was that images would become quite hazy at maximum magnification in high temperatures. I never noticed that problem with any other Alpen spotting scope. How Much Care Does Alpen Put Into The Optics? Every Alpen spotting scope utilizes fully multicoated optics, and almost every model incorporates BaK–4 prism glass into the design. Color reproduction is quite natural, without even a hint of phase shift or distortion. How Are The Scopes Constructed? These items are very well-made, with rubberized armor coating the metal chassis of the spotting scope. They’re quite shock-resistant, and offer extendable sunshades to prevent glare when you are spotting in bright light. Are These Optics Good For Stargazing? Not all spotting scopes are good for backyard astronomy, but most of Alpen’s are quite useful for that purpose. The 20X model won’t do you much good at night, but every other variant has great enough transmittance and a large enough objective lens to make it a simple matter to view the surface of our moon or Jupiter’s Galilean moons. How Rugged Are These Optics? Every spotting scope Alpen produces is O-ring sealed and nitrogen-purged to provide you with waterproof and fogproof security. The rubber armor also makes the scopes shockproof, and Alpen’s No-Fault, No-Problem Lifetime Warranty should put you at ease with using and even lightly abusing your spotting scope. Thanks for reading my outline of Alpen’s spotting scopes. 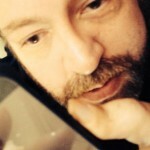 These are great products, with just a few caveats. 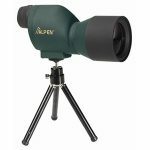 If you are looking for a high quality optic at an affordable price, Alpen’s options are very good and useful for a wide variety of spotting scope purposes.